Thread: First Gen Veloster Turbo Blow Off Valve! 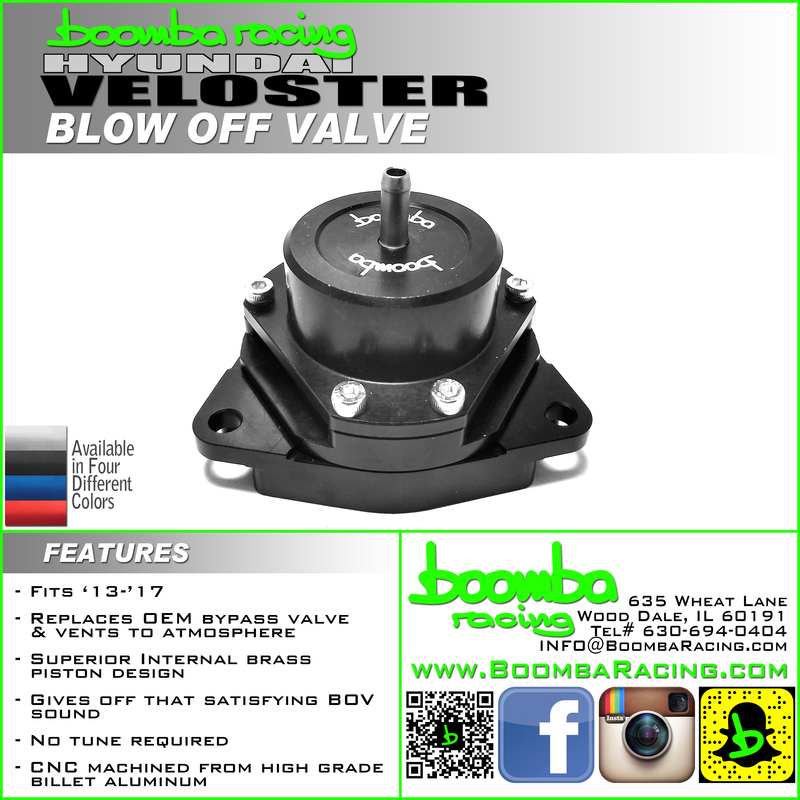 Boomba Racing is proud to announce the PRE ORDER of our VTA BOV for the 1.6T Gamma engines! Hmm this is interesting. Anyone running this? its a preorder. my focus ST racing buddy has one, likes it. Wonder it it will throw a 2261? This is a pre-order currently, we are looking to release it twords the end of the month! Link to Pre-Order is here Hyundai Veloster Turbo Blow Off Valve - Boomba Racing, Inc.
WOOT WOOT These are shipping out! We have a TON of happy customers running this!